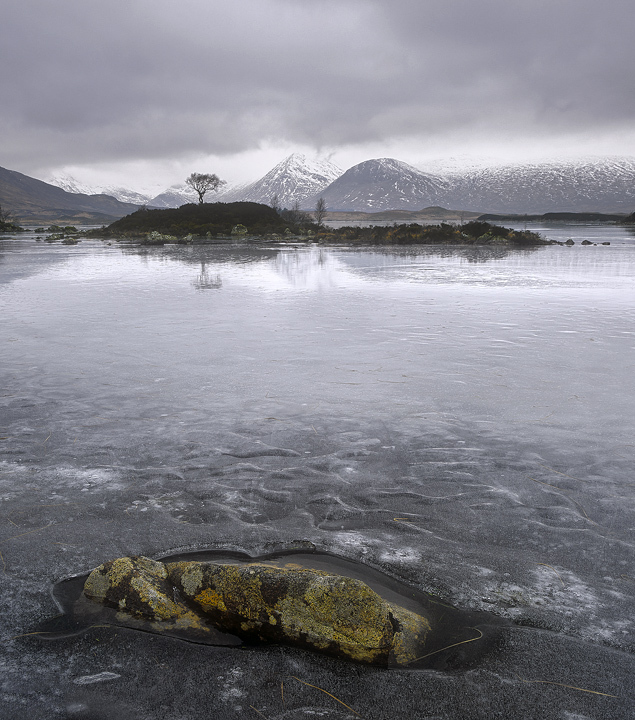 On a dead pan grey windless winter day I assisted another photographer with shots around Rannoch moor. On the face of it it didn't look promising but these completely monochromatic days can still demonstrate light and shade and anything which has good colour becomes that much more striking by virtue of its contrast with the rest of the landscape. I was very taken with this lichen covered rock nestling in a bowl of rippled slate grey ice. Velvia film handles limited colour with amazing gravitas seeming to split the slightest difference in colour nuance with outstanding ease and aplomb.